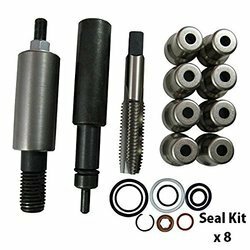 Manufacturer of a wide range of products which include vehicle engine nozzle, metal engine element, engine element, engine nozzle, valvoline cummins lubircation and greese and injector sleeve. Our Company is one of the famous names for offering a wide assortment of Vehicle Engine Nozzle at very affordable rates to our valued clients. Supported by a team of well qualified and experienced professionals, we are engaged in offering a wide array of Metal Engine Element to our respected customers. We are identified as one of the leading names in the market engaged in providing a wide range of Engine Element to our valued clients. We are listed amongst the top firms of the market engaged in offering a large collection of Engine Nozzle to the clients. These products are cost effective. Whatever your lubricants solutions need is, from engines to transmission, we assure you of the highest standards of performance and quality. The expensive production assets of your Clients need to work in harsh conditions. Our priority is to work with you in order to protect and improve the performance of your assets, under the most severe conditions. Our technology edge is reinforced by our patrons as well as by the partnership with major the leading engine manufacturer in the world – Cummins Inc. Indeed since many OEM’s field. Cummins engines, it gives us a unique opportunity to provide solutions to your most vital needs. Our endeavor will not only sell the lubricants to you but also enhance your “peace of mind” by establishing us as a competent Lube solution provider. It can only be possible with cooperation and guidance from you and your team. 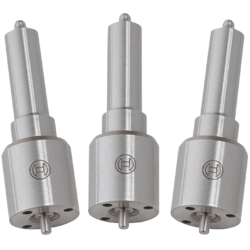 Nozzle is the part of fuel injector of diesel engine which converts the liquid diesel into vapours and which further creates vapour pressure on the piston of the diesel engine and hence converts the linear motion into rotational motion. The efficiency of the diesel engine very much depends on the quality of the nozzel which is truely named as the heart of diesel engine. Its malfunctioning leads to smoke and wastage of diesel (as a fuel) in the engine. 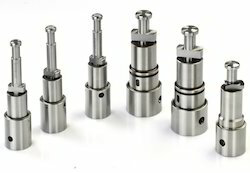 Nozzle is one of the main components of fuel injection systems. It regulates the flow of fuel to the ultimate ignition Compartment. 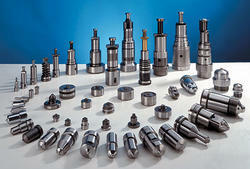 We are counted among one of the leading manufacturers and suppliers of a wide array of Injector Sleeve. 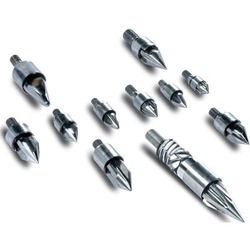 The offered products are manufactured under the strict surveillance of skilled and experienced quality controllers, who make use of quality tested raw material. 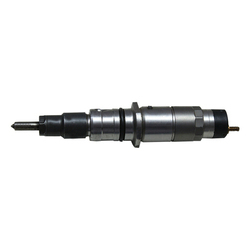 These are specially designed by our professionals for rolling injector sleeves into heads of diesel engines. 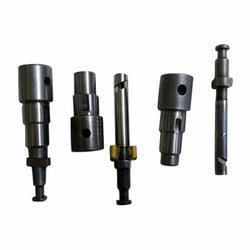 Being a leading firm in this industry, we are deeply engaged in offering a high-quality range of Plunger Barrel.